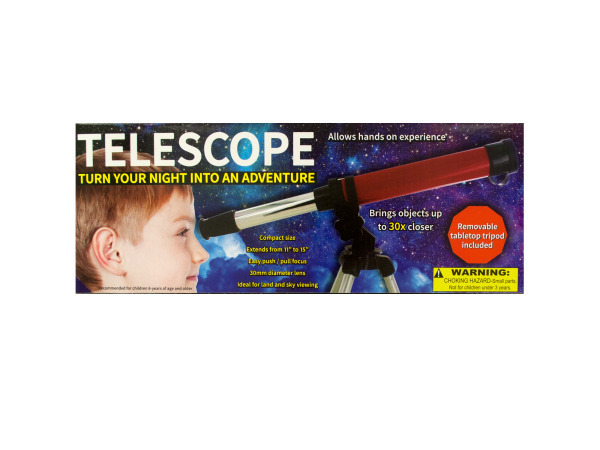 Turn your night into an adventure with this Compact Telescope featuring a telescope with a 30mm diameter lens, easy push/pull focus and a removable tabletop tripod. 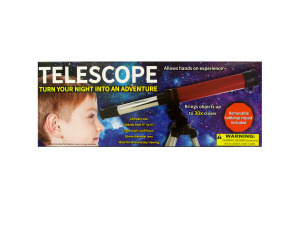 Ideal for land and sky viewing. Brings objects up to 30 times closer. Extends from 11" to 15". For ages 8 and up. Comes packaged in an individual box.